Navigating a BIM model shouldn’t be a difficult task. We’ve made it easy with CtlWiz. 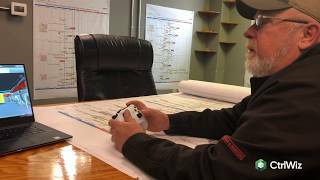 CtrlWiz allows movement within a BIM model using an Xbox Controller. Explore, change viewpoints, switch elevations and even measure, all at your own speed, Ditch the mouse and keyboard for a tool that was created for virtual movement. Download CtrlWiz today. Fixed variable speed issue. Now the speed you move in is the same across any model that you open. Thank you for the review Marcel! What other applications are you thinking?